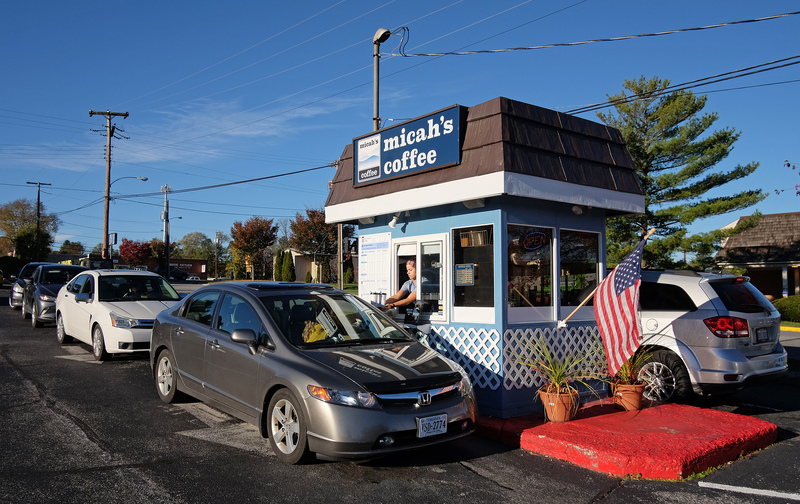 Cars line up at Micah’s Coffee in Waynesboro, Va. Thursday Nov. 10, 2016. (Photo by Norm Shafer). Robert Collier believes that in the competitive coffee industry, you have two choices: you can be the best or you can be the cheapest. He knew exactly which one he wanted, and he’s been chasing the best ever since. 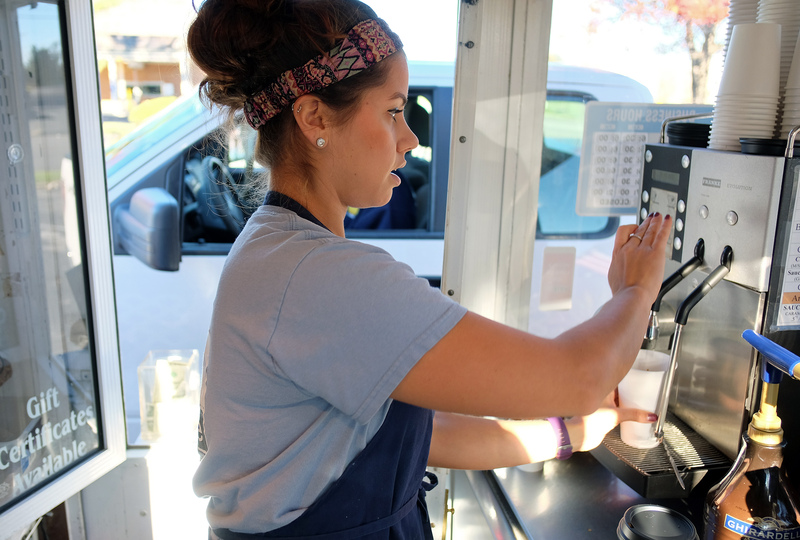 Kelsey Shreckhise, manager of Micah’s Coffee helps a customer in Waynesboro, Va. Thursday Nov. 10, 2016. (Photo by Norm Shafer). 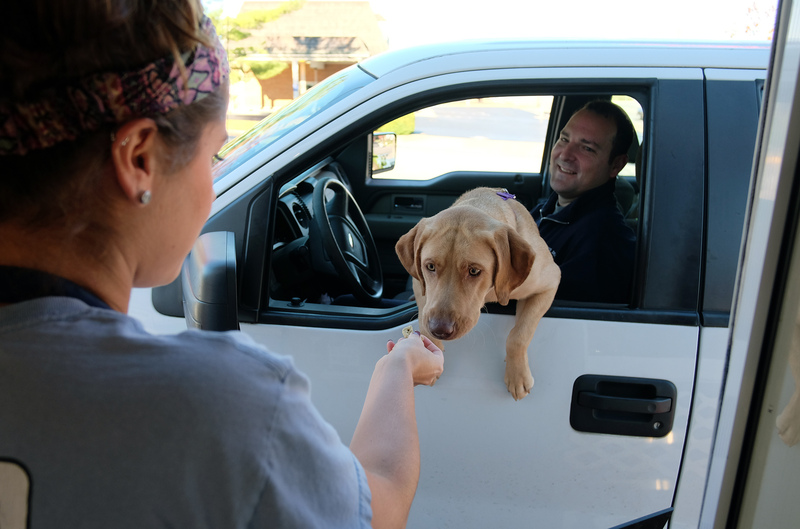 Kelsey Shreckhise, manager of Micah’s Coffee gives a dog a treat, Waynesboro, Va. Thursday Nov. 10, 2016. (Photo by Norm Shafer). Robert J. Collier, owner of Micah’s Coffee in Waynesboro, Va. Thursday Nov. 10, 2016. (Photo by Norm Shafer). 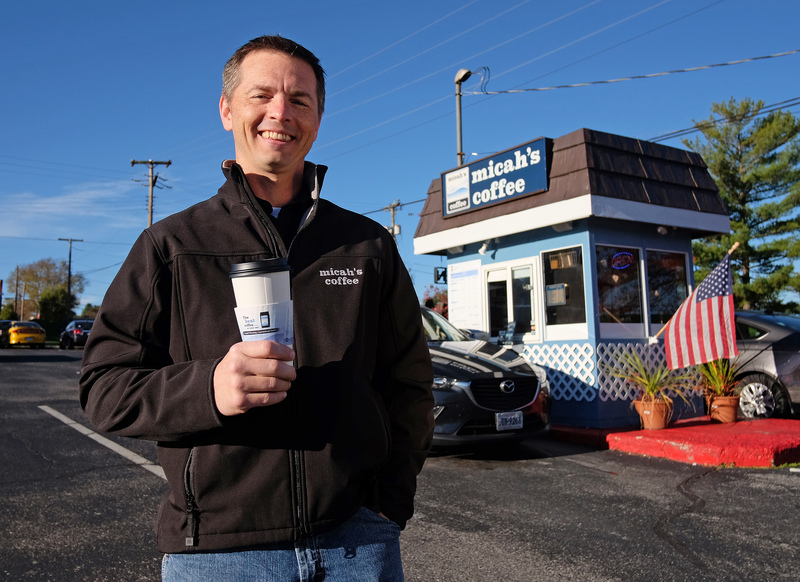 To learn more about Micah’s Coffee, visit them online at www.micahscoffee.com. And of course, check back often at GrowWaynesboro.com for more updates on and opportunities for local entrepreneurs.